We are two weeks into June, and even though many in the hockey world are still sipping cocktails by the sea or sitting in the garden with friends and family, occasionally trying to steer the conversation in the direction of the Gagarin or Stanley Cup finals, many others already have their sights on the 21st of August – the opening day of the 2017-18 campaign - and are busy organizing the preseason training for their respective clubs. At this stage of the preseason, some teams’ preparations are still in the preparation stage, but a handful of clubs - Jokerit, Slovan, Spartak, Dinamo Riga, Vityaz and Lokomotiv - have already organized a schedule of friendly and exhibition games, and they shared their plans with khl.ru. 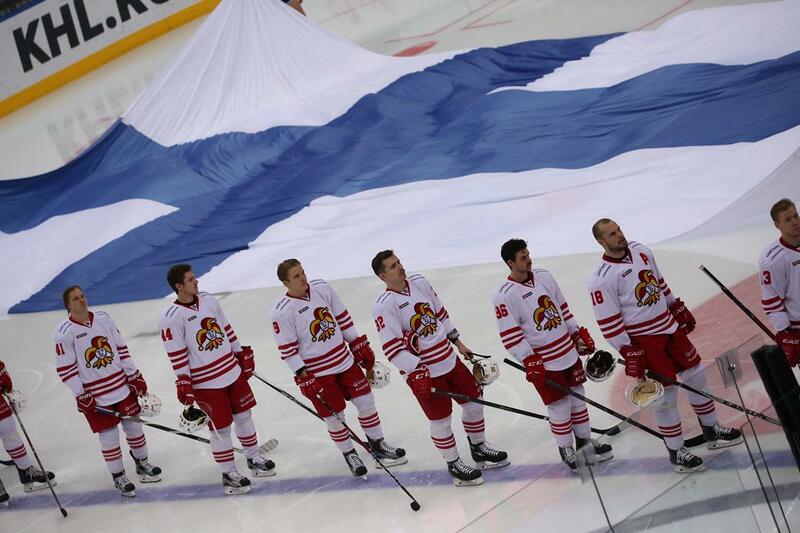 For Jokerit, the forthcoming campaign has a special significance – the club will celebrate its 50th anniversary, and the country marks 100 years of hockey in Finland. Jokerit will play six preseason friendlies, three of which are to be held at various venues in Finland - one versus Kunlun Red Star of Beijing and two against Sibir of Novosibirsk – plus three more in August, when Jukka Jalonen’s team will compete in the Nikolai Puchkov Tournament in Saint-Petersburg. 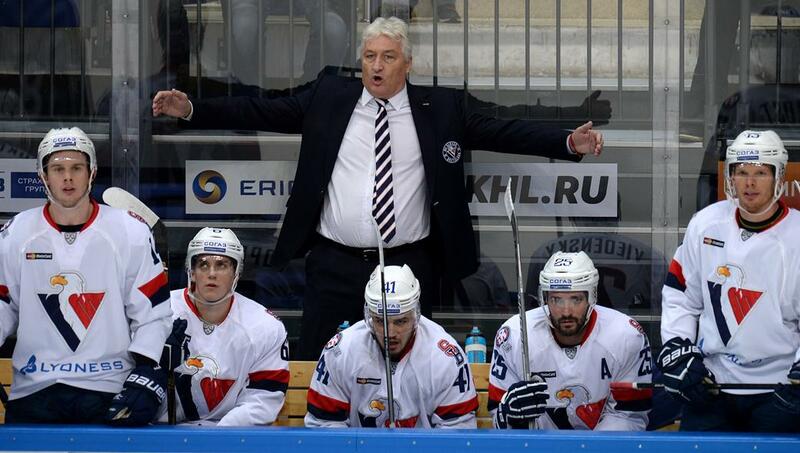 Bratislava’s “Eagles” plan to play 11 games during July and August as part of their preseason preparations, against opposition from the KHL, the Czech Extraliga, the Slovakia championship and from Germany’s second-tier league. Slovan starts its preseason at its home arena before moving to training camp a short distance away at Bruck on the Slovak-Austrian border. The grueling series of friendly matches begins with games on the 19th and 20th of July as guests of Dynamo Pardubice in the Czech Republic. Five days later, Slovan takes on Spartak at home before heading off to Maribor, Slovenia, where they will meet more KHL opposition in the shape of Torpedo Nizhny Novgorod. On the 2nd of August, Slovan will play at home against Zlin of the Czech Republic, and a day later travel to the home of the Czech champions, HC Kometa of Brno. From the 8th to the 10th, the Bratislava boys play in the Wingas Cup tournament in Kassel, Germany. The last two exhibition games will be another match-up with Kometa Brno on the 15th, this time on home ice, before a road match on the 17th against the champion of Slovakia, HC'05 Banska Bystrica. The Red-and-Whites will gather at their Moscow home on the 1st of July, and from the 3rd to the 15th will hold their first preseason training camp in the Czech town of Liberec. The Muscovites then move to their second camp, in the Austrian town of Parndorf, where they will train from the 18th to the 28th of July, part of which includes a trip to Bratislava on the 25th to play against Slovan. In August, Spartak will take part in two traditional preseason tournaments, the Governor's Cup in Nizhny Novgorod running from the 1st to the 7th of August, and the Mayor of Moscow Cup in the Russian capital, from the 15th to the 18th. On the 12th, sandwiched between the two events, Spartak have a friendly against Khimik in Voskresensk. In preparation for the 2017-18 season, Dinamo Riga will be competing in three tournaments – one at home, one in Minsk, and one in the German city of Kassel – and like Slovan, the Latvians have a busy schedule comprising 11 matches. The preseason schedule begins with the customary medicals, then off to training, first to the Riga suburbs of Pinki and Jurmala, and then a little further north, but still in Latvia, for camp at the Vidzeme Olympic Center in Valmiera. From 26th to the 30th of July, Dinamo will play in the Minsk 950 Cup, a preseason tournament which forms part of a multitude of events dedicated to celebrating the city of Minsk’s 950th anniversary. 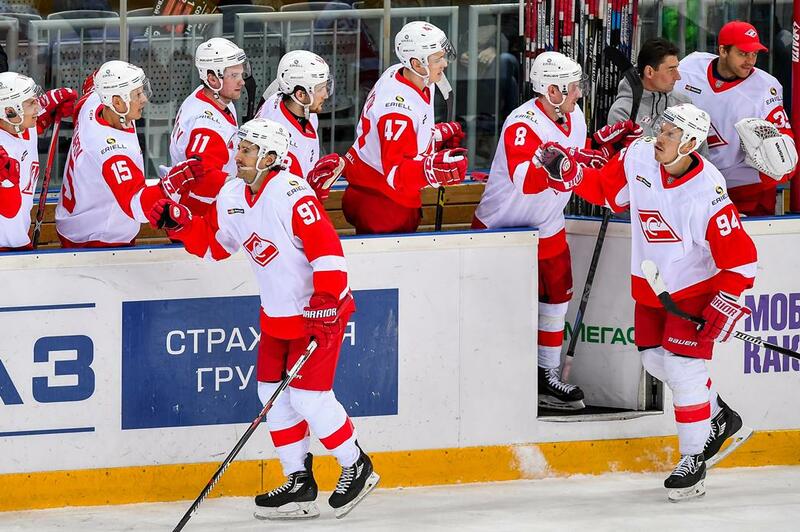 The Riga Men’s opponents will be Yunost-Minsk, Dynamo Moscow, Lokomotiv and Ugra. Next on the itinerary is Kassel in Germany for the Wingas Cup, joining Slovan (see above) and Vityaz (see below), and finally, from the 13th to the 17th of August they will play at their Arena Riga home, where they will host the annual Latvian Railways Cup. This year, their guest are Lokomotiv, Ak Bars and Dinamo Minsk. Vityaz’s plans for the summer include a three-week Italian camp, a tournament in Germany, and the Mayor of Moscow Cup, comprising 10 matches in all. Valery Belov’s team will gather in Podolsk in the first week of July, for the obligatory medical tests and some back-to-work fitness training, and on the 9th they fly out to the picturesque little town of Brixen, in northern Italy, where they will be based until the 2nd of August. This camp will include a short trip to Bavaria for two matches, against KHL rivals Avangard in Fussen and Metallurg Magnitogorsk in Garmisch-Partenkirchen, before returning to Brixen for two games against the Italian national team. After a few days back in Moscow Region, it is off to Kassel, Germany, for the Wingas Cup, mentioned above, featuring Vityaz, Slovan, and Dinamo Riga (plus of course, the host team, Kassel Huskies) before returning to Russia to take on Dynamo, CSKA and Spartak in the Mayor of Moscow Cup, held in the Khodynka Megasport Arena. Then it is back to Podolsk for the start of the tenth KHL Championship. Lokomotiv will spend much of this preseason training in Yaroslavl, making use of a new multi-purpose sports complex. 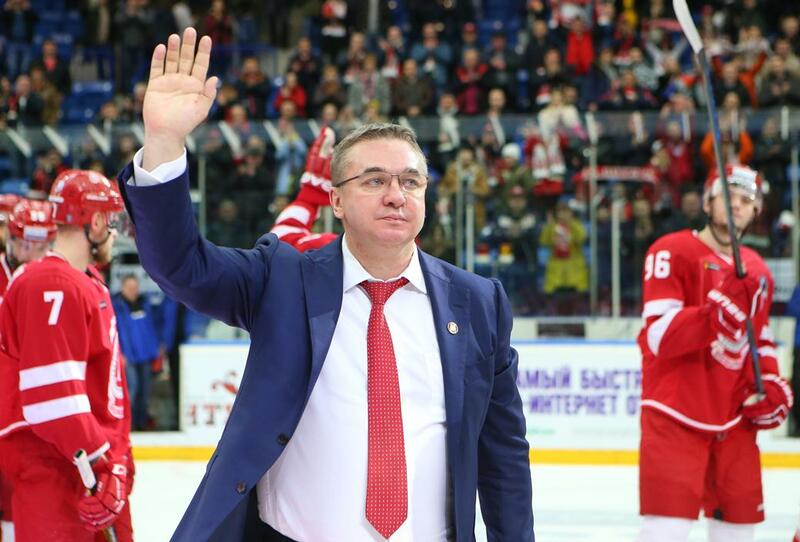 Alex Kudashov’s men will train and practice here for three weeks, until the 25th of July, when they head off to Belarus to join in Minsk’s 950th birthday celebrations, in which they will play against Dinamo Riga, Ugra, Dynamo Moscow and local team Yunost-Minsk. From the 1st to the 11th of August, Lokomotiv will be back in Yaroslavl, where they will play two home matches against Amur Khabarovsk. 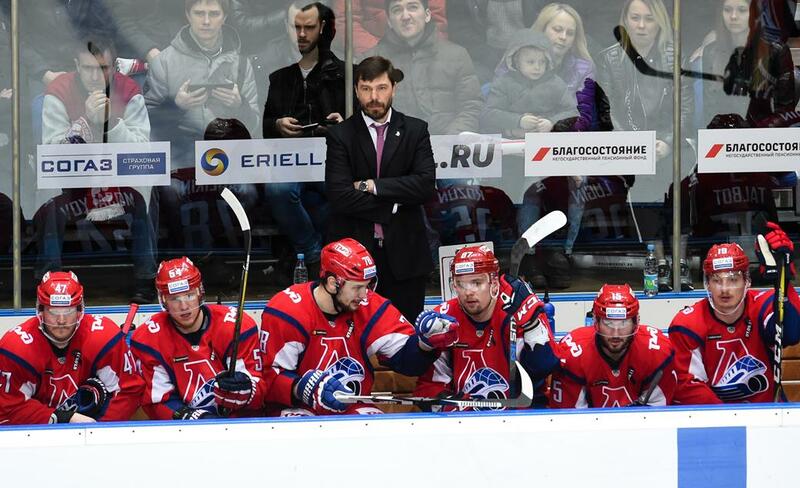 The Railwaymen complete their preseason with a trip to the Baltics for the Latvian Railways Cup which runs from the 12th to the 17th of August, and in which they will face off against Ak Bars, Dinamo Minsk, and for the second time in three weeks, Dinamo Riga.